The forthcoming Bourse aux Technologies by IMT, Carnot approved for the quality of its research in partnership, will take place on April 7th at Télécom Bretagne (Rennes) on the theme of connected devices and Big Data. This new edition of the Bourse aux technologies will bring together various public and national research stakeholders from the digital sector. It will be a unique opportunity for SMEs and midcaps to access the best of French research. Led by Marianne Laurent, innovation project manager at Télécom Bretagne and Démosthène Kalogérakis, business developer at the Innovation Center of IMT. By researchers at Télécom Bretagne, Télécom ParisTech, Télécom Physique Strasbourg, Télécom Lille, Mines Douai, Mines Alès, CEA, INSA/CNRS, the Universities of Aix-Marseille, Angers, Nantes and Rennes. 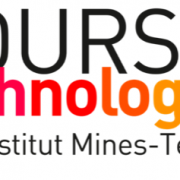 IMT’s Bourses aux Technologies is a series of meetings and exchanges between researchers and SMEs. The aim of this event is to allow SMEs to access academic research results more easily and thus to develop the innovations of the future. Its originality lies in bringing new technologies from all the Institute’s schools and partners to a given region or sector. These meetings are now a part of the promotion program in terms of public research organizations’ technologies, implemented by the Thematic Enhancement Consortium (Investments of the Future) and dedicated to digital sciences and technologies.